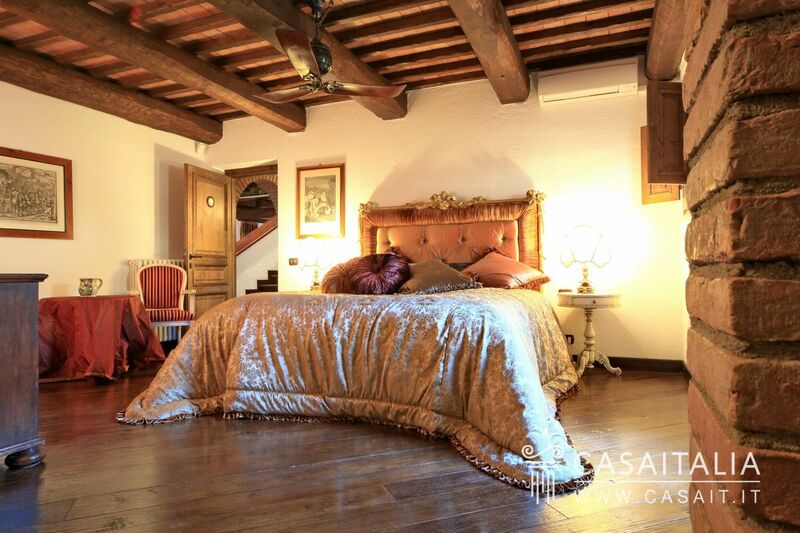 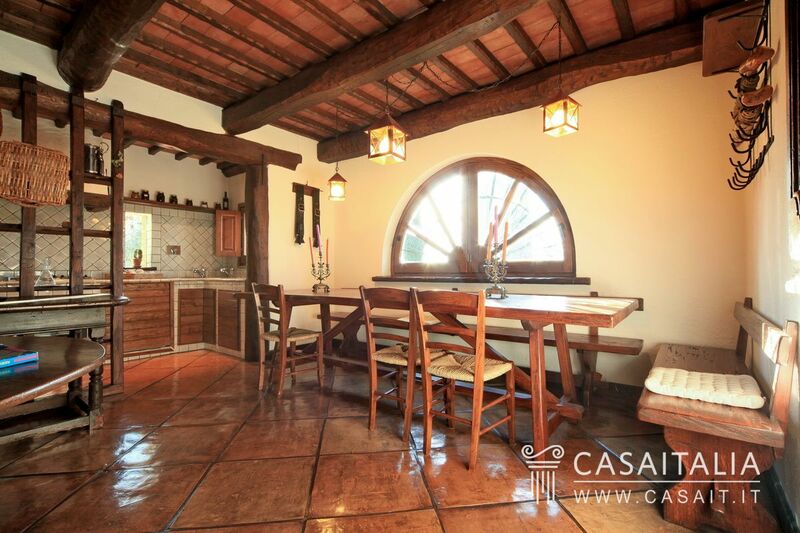 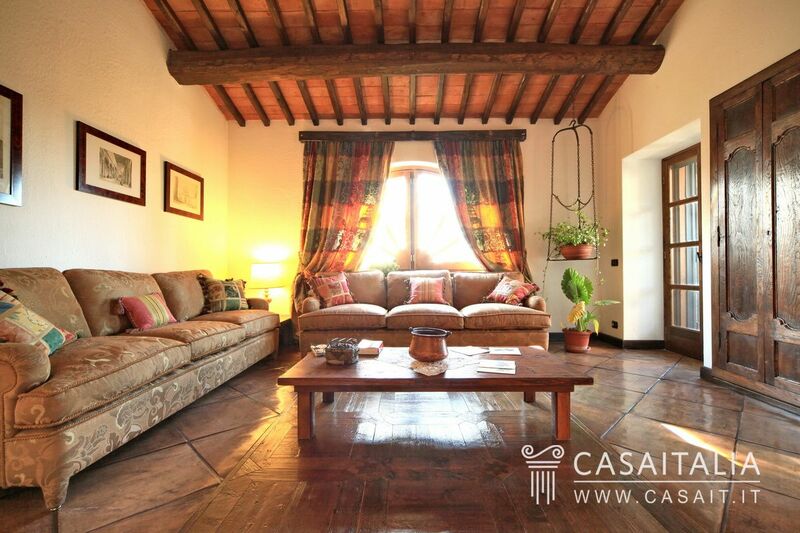 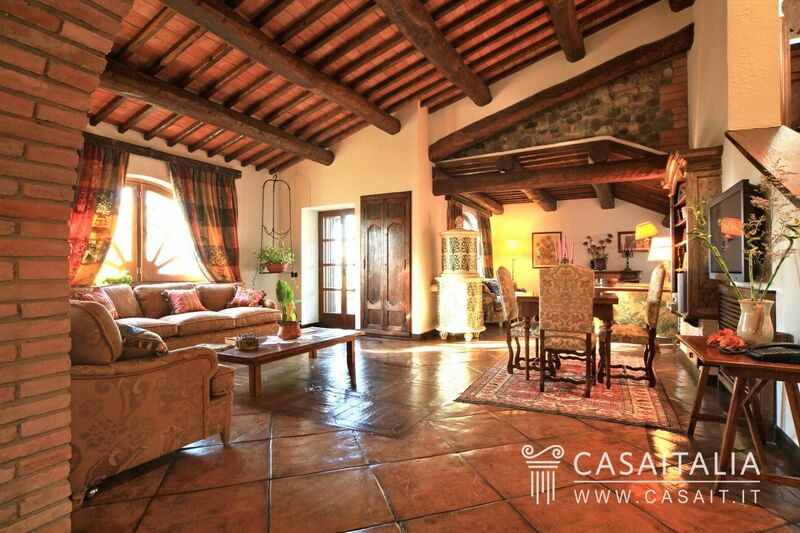 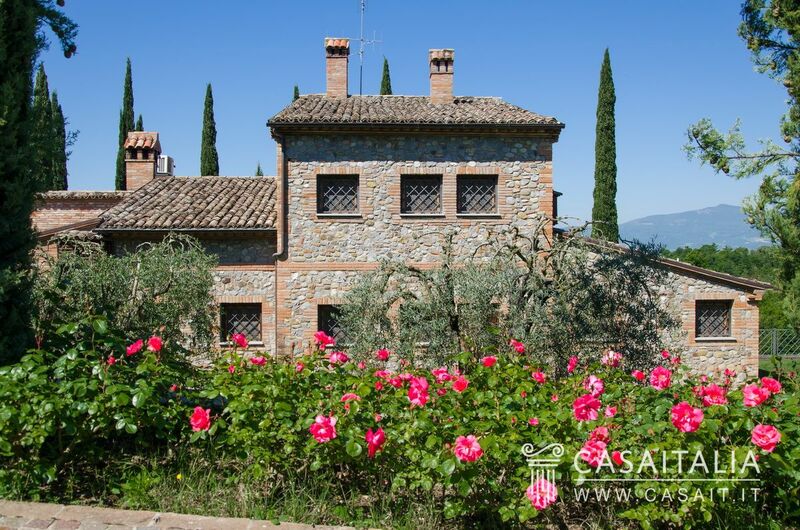 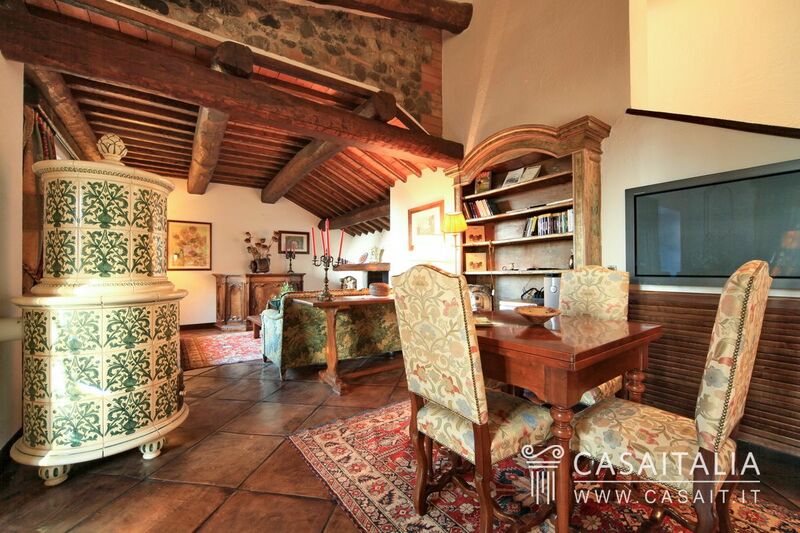 Fully restored stone farmhouse on the border between Umbria and Tuscany. 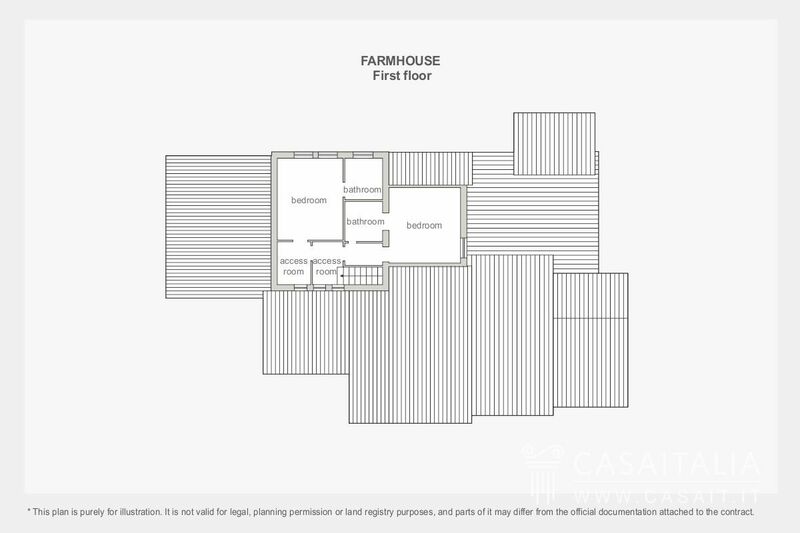 Surface area of 583 sq.m with 5 bedrooms and 7 bathrooms, plus living areas. 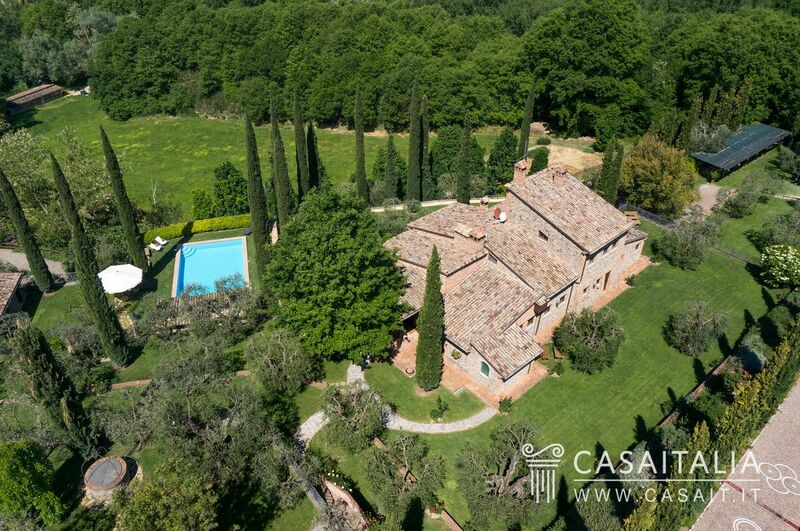 Surrounded by 3.800 sq.m of land with swimming pool and garden. 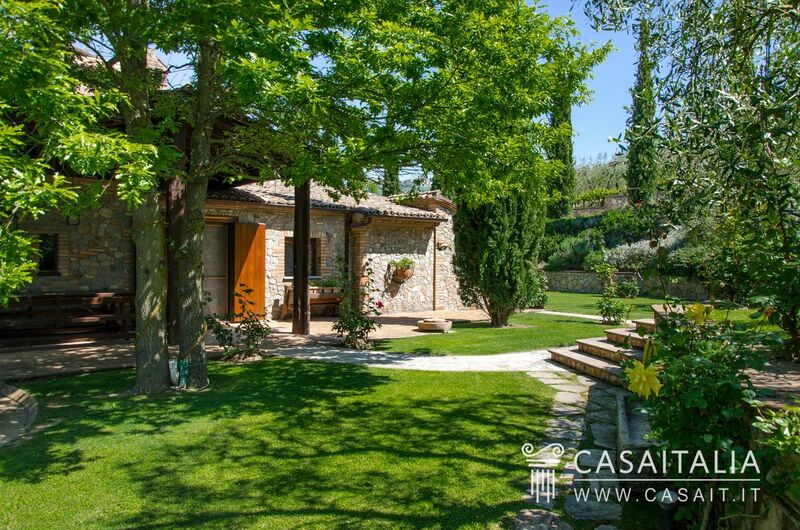 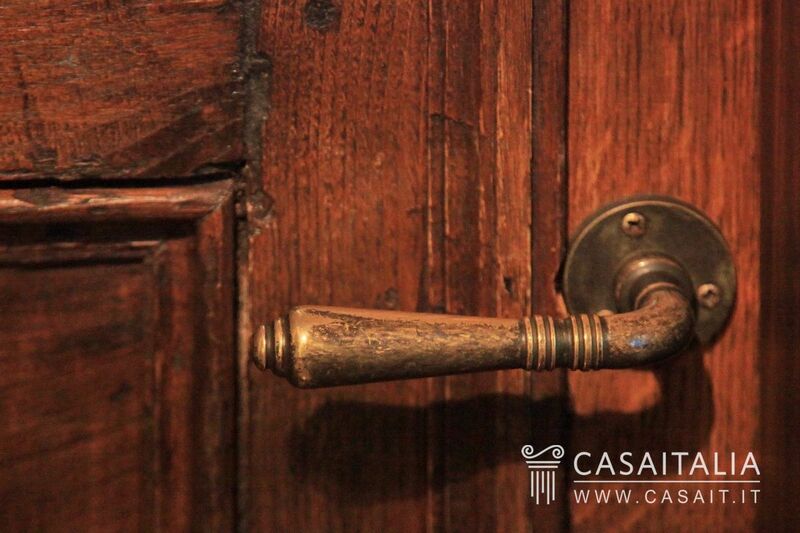 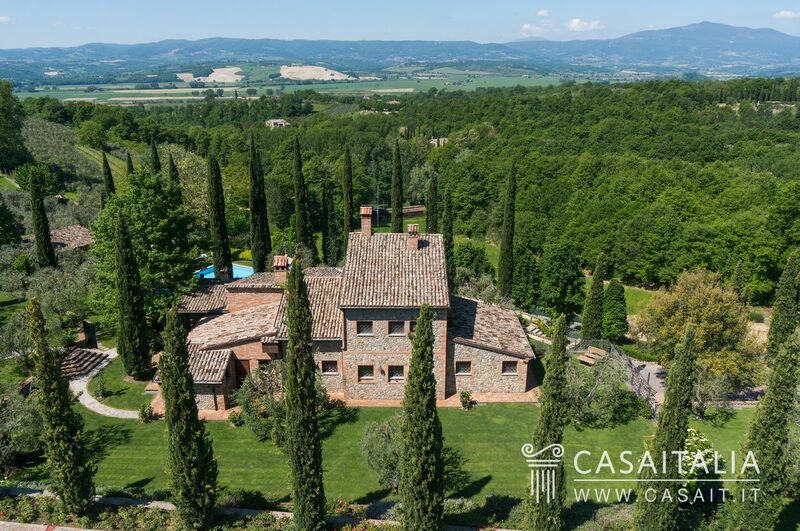 Casale Mayflower is an enchanting stone farmhouse on the border between Umbria and Tuscany, an area rich in historical and archaeological sources is Etruscan Roman. 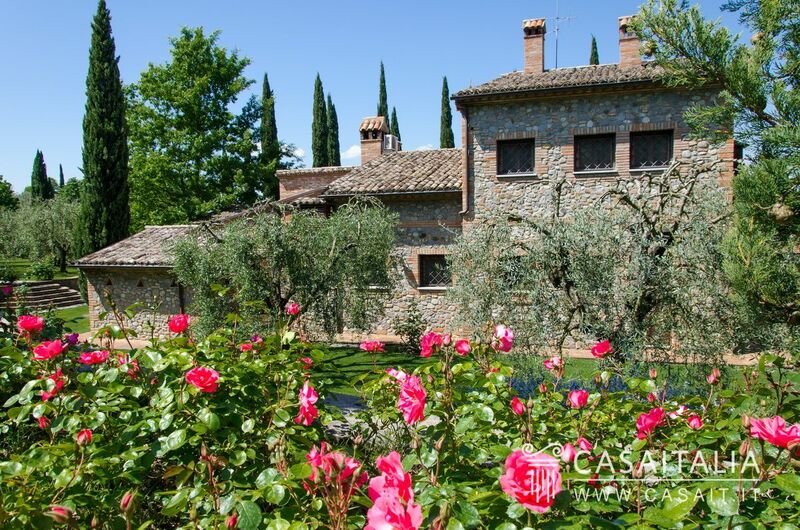 Fabro is the nearest town (just 5 km) and in a few minutes it is possible to reach Città della Pieve (9 km), Cetona (17 km), Chiusi (19 km), Orvieto (37 km) and Perugia (42 km). 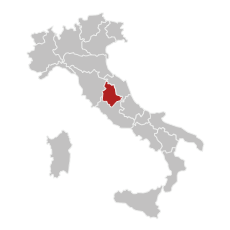 Perugia Sant'Egidio Airport is only 53 km, while the international airports of Rome Ciampino and Rome Fiumicino are respectively 157 km and 186 km. 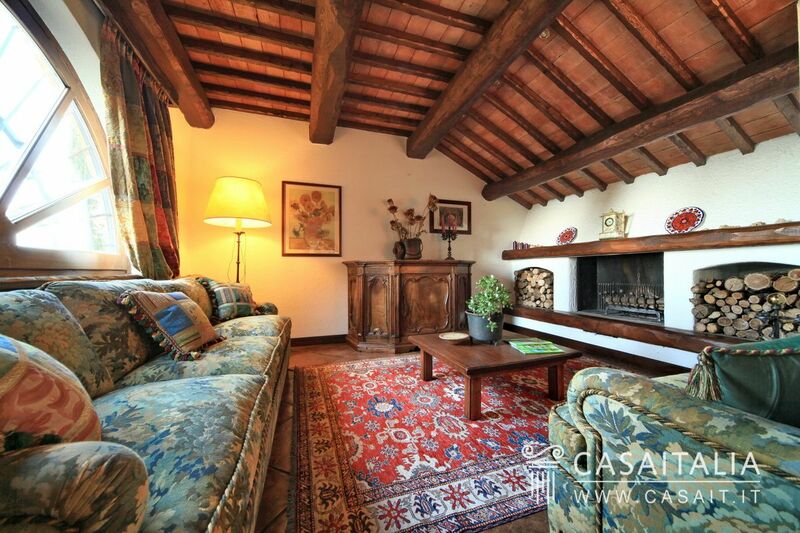 The highway with access from Fabro allows to reach both Rome and Florence in less than an hour and a half drive. 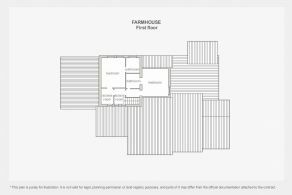 The house spreads over 583 square meters on two floors plus a tower. 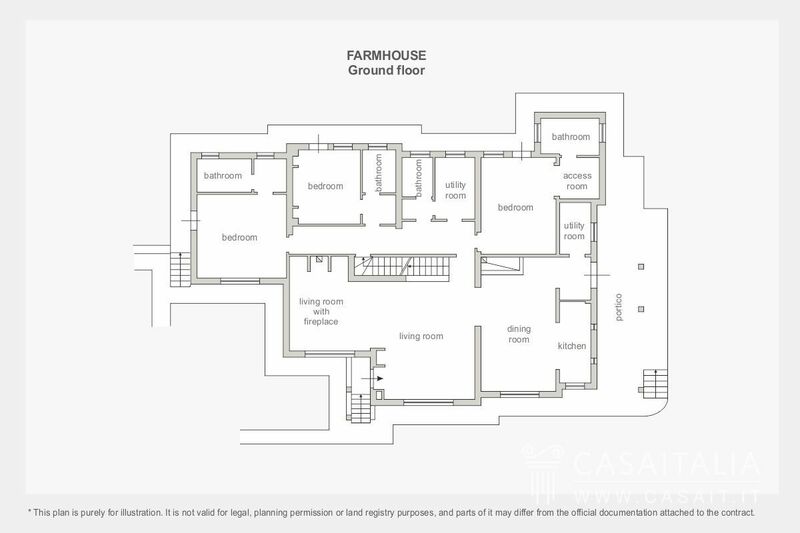 On the ground floor, a short staircase leads to the living-room with fireplace, dining area with fireplace and a kitchen overlooking it; this area gives access to a large portico overlooking the perfectly manicured garden. 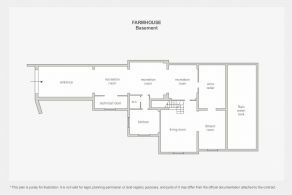 The sleeping area of this level consists of three en-suite bedrooms.The dwelling is completed by a bathroom serving the living area and two utility rooms. 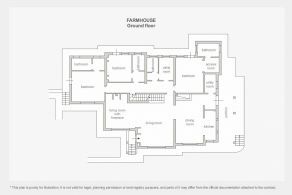 The tower is divided into two additional en-suite bedrooms. 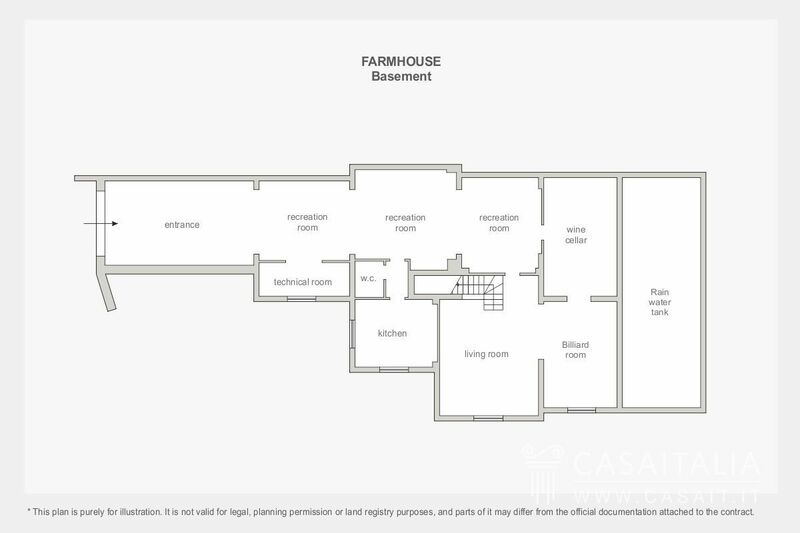 The lower floor hosts kitchen, living-room, billiard room, three sitting-rooms, large wine cellar, bathroom and technical room. The house is in perfect condition. 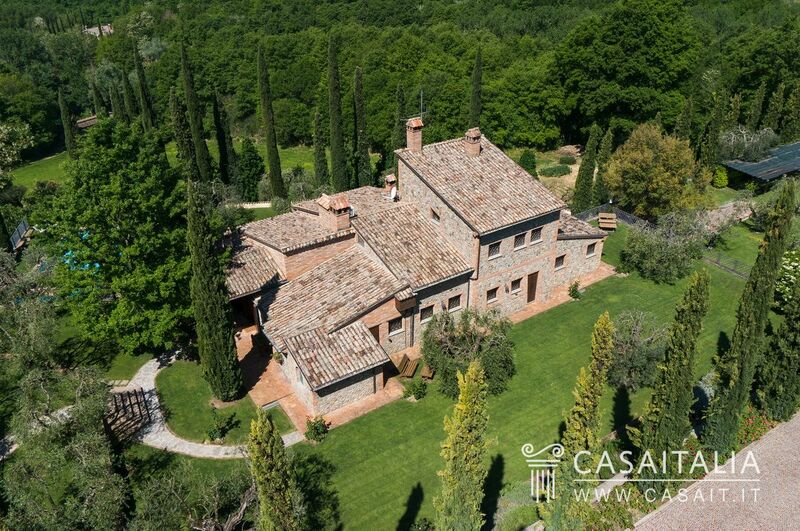 The exteriors feature the typical characteristics typical of the rustic farmhouse with exposed-stone masonry in of Umbria and Tuscany style as well as the interiors that preserve country and cosy aspect thanks to the ceilings made of wooden beams and tils and the handmade cotto floors. 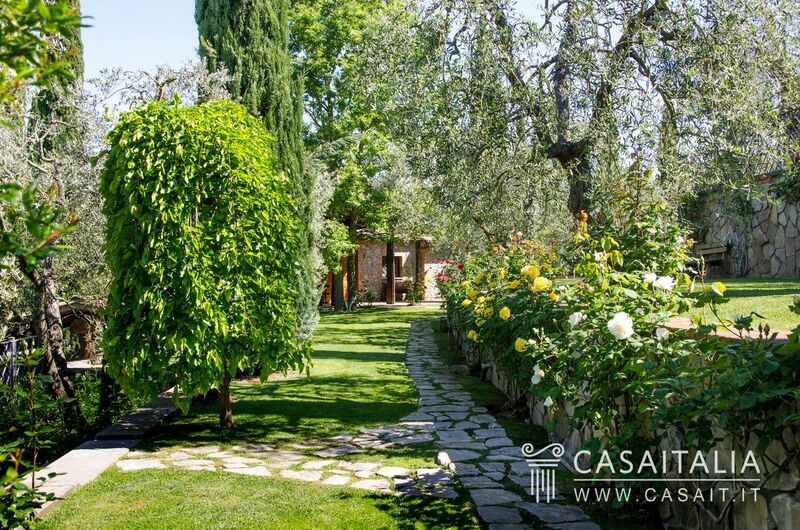 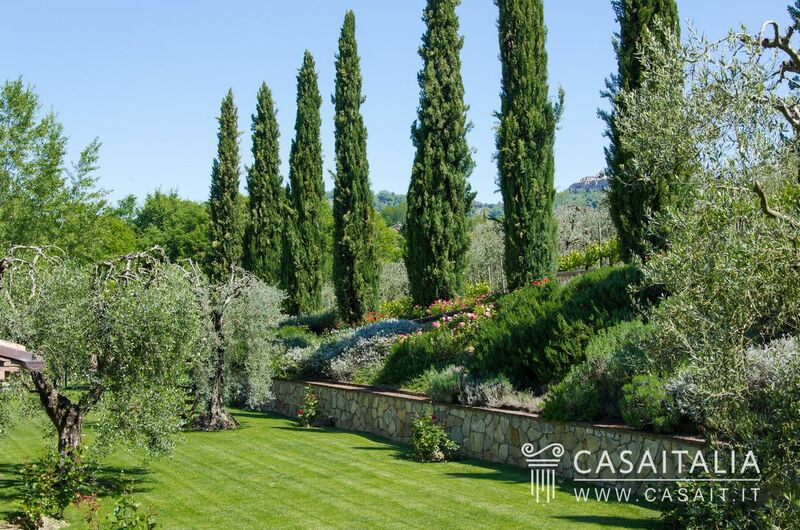 The house is surrounded by a park of 3.800 sq.m with olive trees and cypresses. 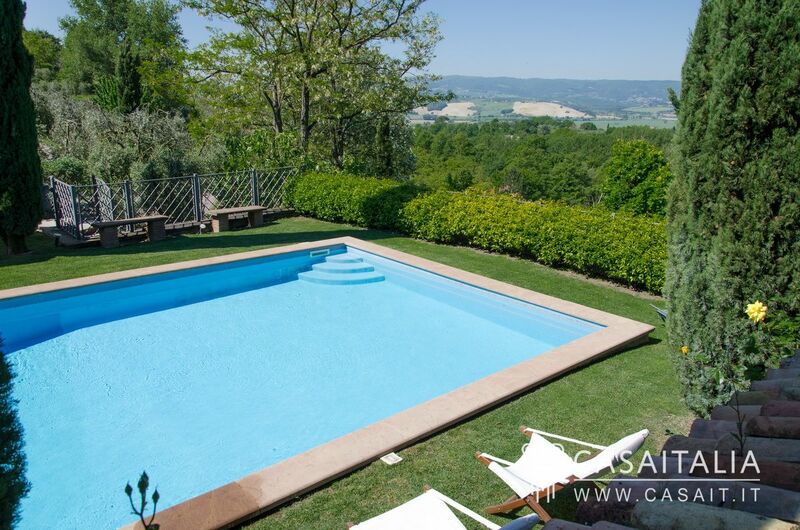 Nearby, in the raised area, there is the swimming-pool and a further portico with barbecue. 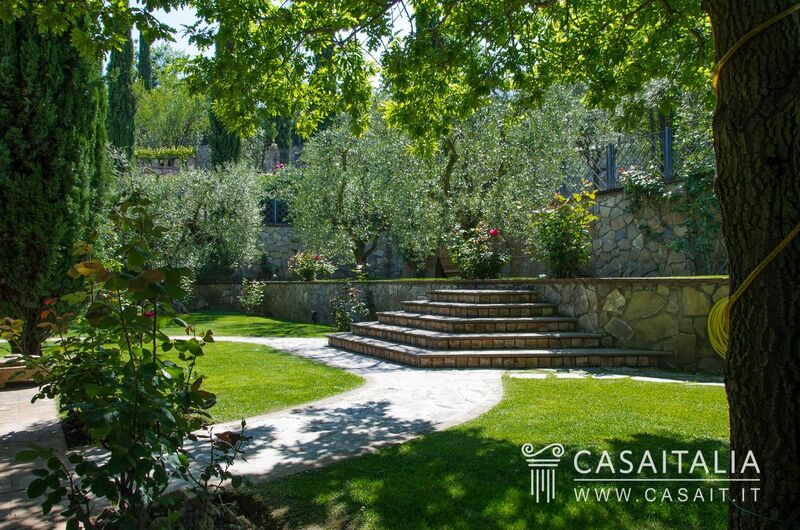 The entrance gate is electric and the driveway is paved and drivable. 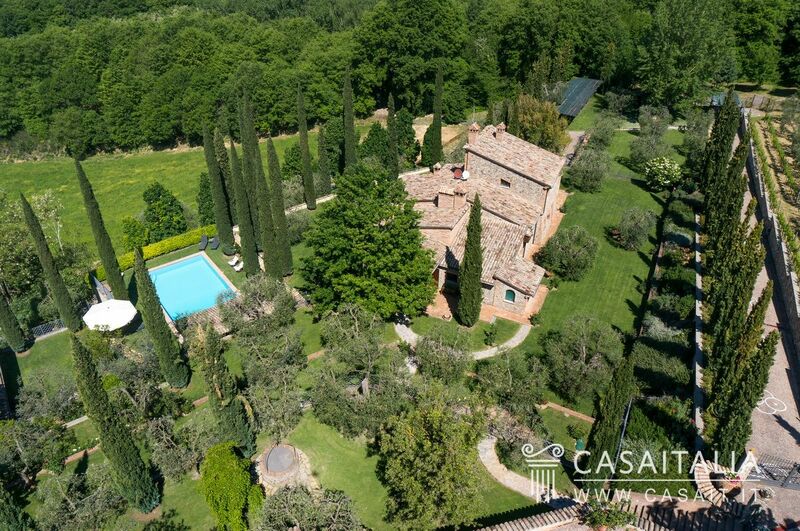 Casale Mayflower, conveniently located and easily accessible, is suitable both as main residence (Città della Pieve, Cetona and Chiusi are all reachable in 10/15 minutes and Perugia, with its university is only 40 km away) and as holiday or week-end home, thanks to its proximity to Rome and Florence. 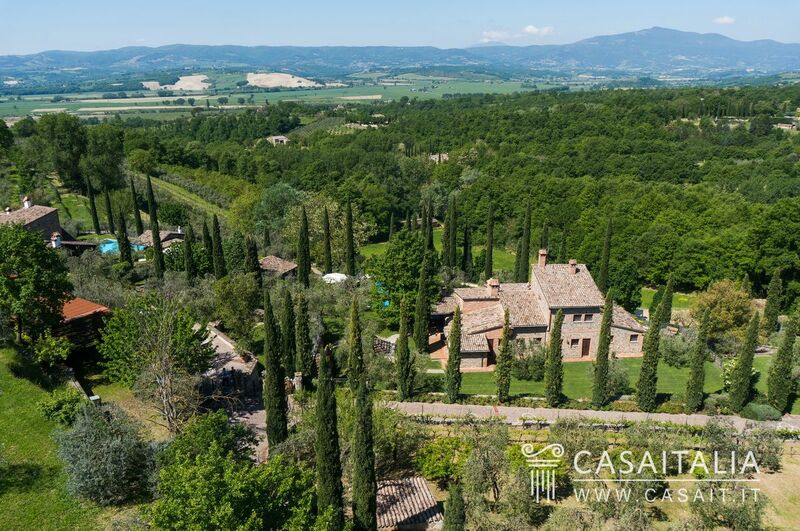 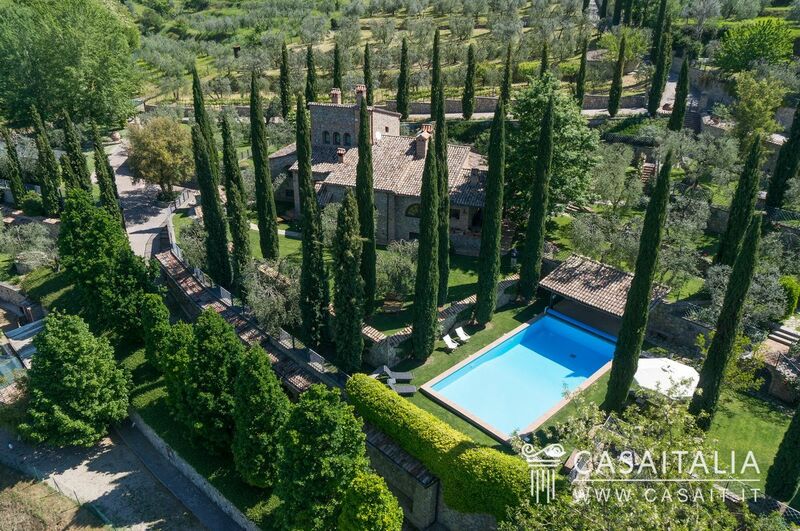 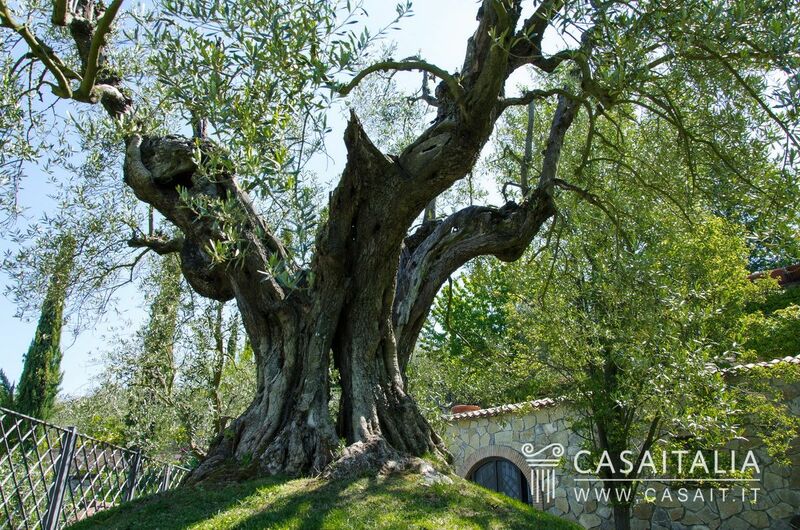 Characteristics: is the sister of Tuscany region, green and hilly territory with olive groves and vineyards, rich in art cities and quaint towns. 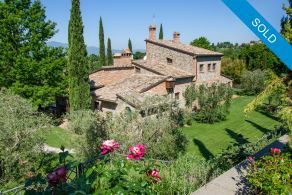 Placed in Central Italy between Rome and Florence, Umbria is a region rich in history and culture, from the hilly landscape with olive groves and vineyards, and dotted with historic villages and artistic cities such as Perugia (important international University Centre), Spoleto, Orvieto, Todi, Assisi, Spello and others. 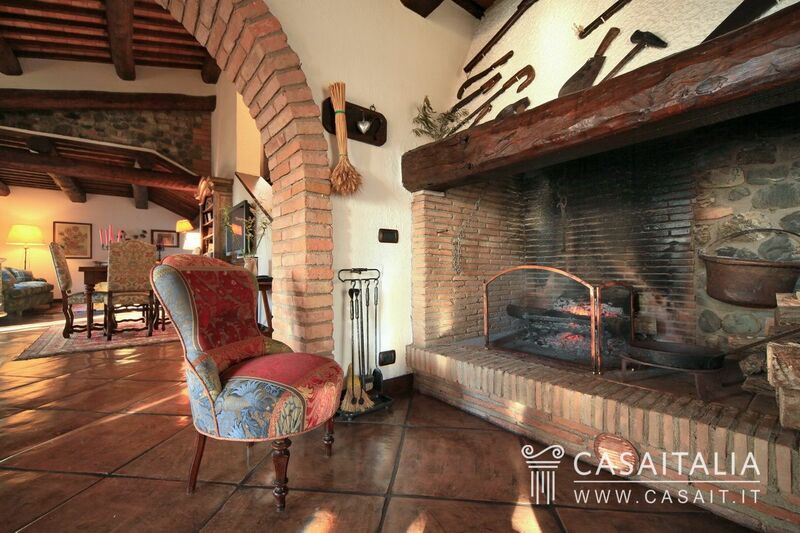 15 minutes from Perugia is located Lake Trasimeno, the largest Italian lake after that of Como. 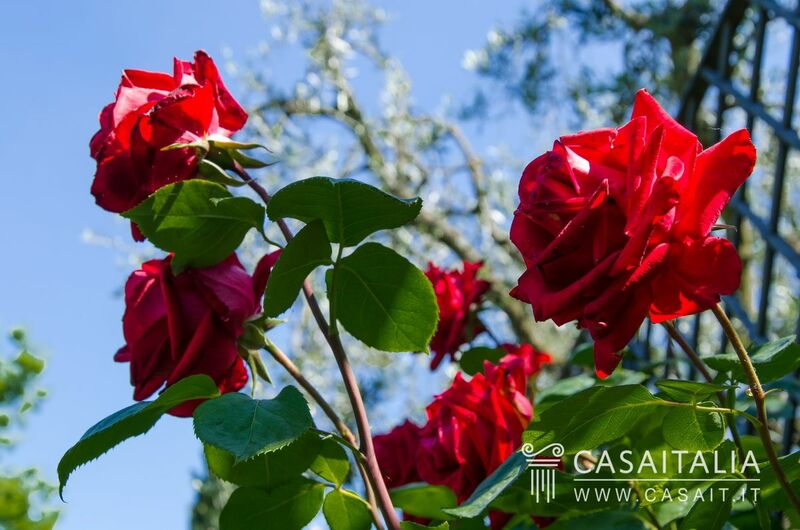 The climate is mild with temperatures in winter rarely fall below zero degrees and summer temperatures around 25 degrees. 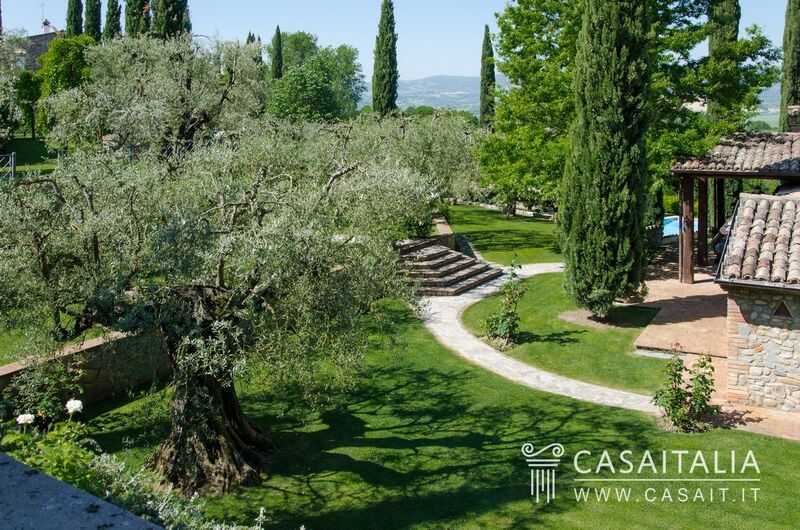 The region is the scene of major cultural events throughout the year (such as the Festival dei Due Mondi in Spoleto and Umbria Jazz) and many other folk events which, especially in summer, enliven small and large centers of the entire territory. 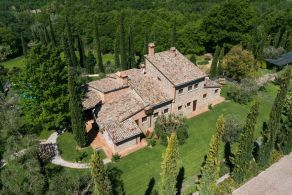 Property offer: Umbria, with its Green and hilly territory is particularly required for purchasing original characteristic stone farmhouses, very similar to those of Tuscany, in the countryside around the major cities of art such as Todi, Spoleto, Orvieto, Perugia, Assisi or in the popular area of Valley of Niccone or of Trasimeno. 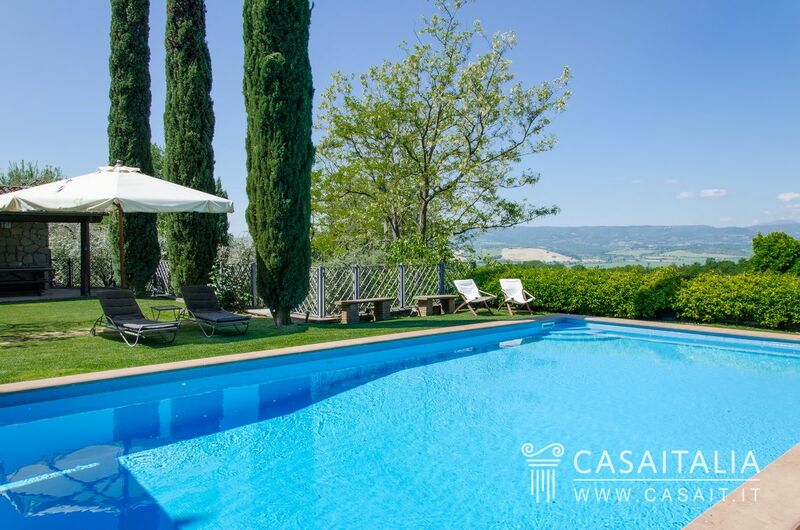 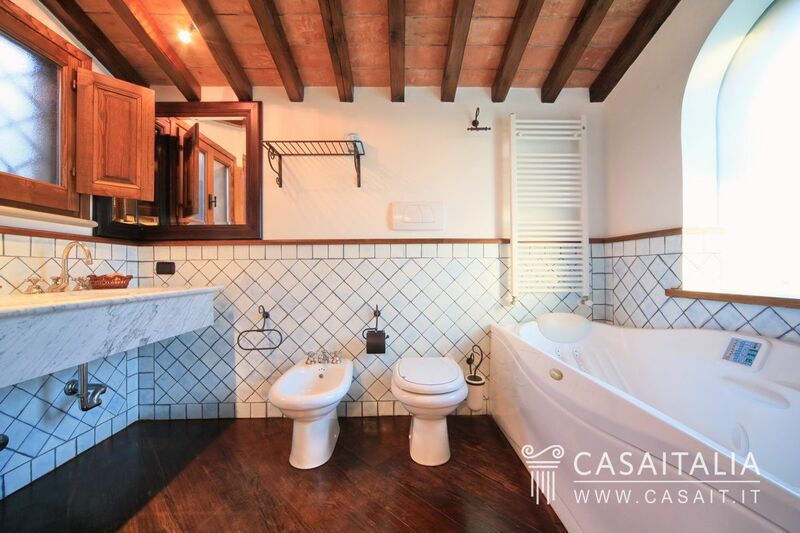 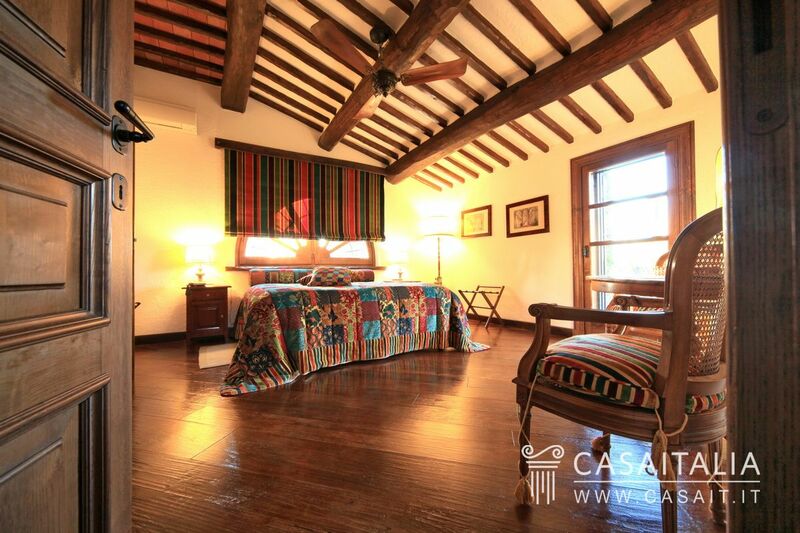 These are often finely renovated farmhouses with park and pool, which are well suited to use for vacation but also for investment with the ability to put them in the lease through touristicrental. 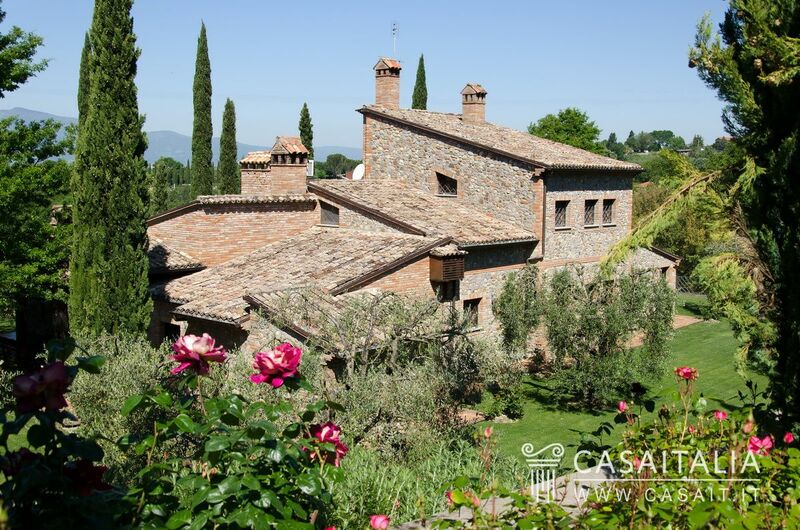 Umbria has a strategic position being located half an hour from Rome and two hours from Florence. The region, rich in history, offers you the chance to buy real estate like castles, vintage villas, villages and monasteries. 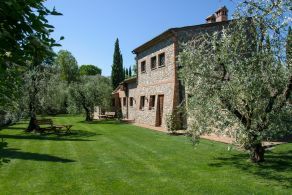 Very popular are also the apartments within historical centers or small rural managed complexes, rich in original farmhouses of stone structure, particularly are requested those places in the countryside around the town of Todi, Spoleto, Assisi, Perugia and Orvieto, but also in the areas and Niccone Valley and Lake Trasimeno. 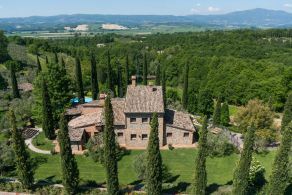 Frequently also the historic buildings, ancient villas, castles and apartments in historic towns such as Perugia, Orvieto, Spoleto, Assisi, Spello, Trevi, or in small villages renovated and preserved.